Ventilation hood for air exit above roof, suitable for both industrial and comfort ventilation. Air is ejected in an upwards jet to avoid contaminating the air in the vicinity of the hood. 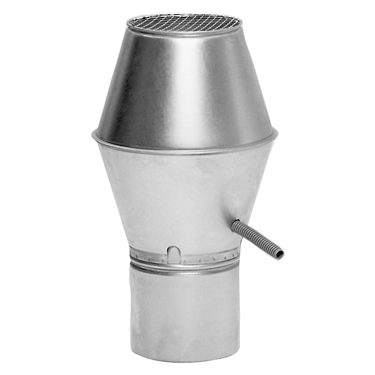 Contains internal rain funnel to collect rain and snow; drained out of the hood through a hose.